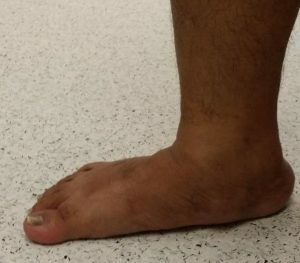 Flat feet or “pes planus” is a very common finding. In most people, flat feet do not cause any problems. However, in a small minority, flat feet can be associated with pain when walking or running. It is difficult to pin-point a single cause for why flat feet can become painful. Usually flat feet is caused by a combination of factors. Hypermobile joints, footwear with poor arch support, tightness of the Achilles tendon are some associated factors leading to the development of flat feet. How do we detect Flat Feet? X-rays are useful to determine the severity of flat feet. Flat feet happens when the middle part of the foot has “collapsed” towards the ground which causes the feet to lose its normal arch. Figure 2: X-ray of a foot with a normal arch. Note the straight line through the foot. 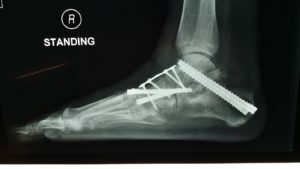 Figure 3: X-ray of a flat foot with loss of the normal arch. Note that the straight line through the foot is broken in the middle. 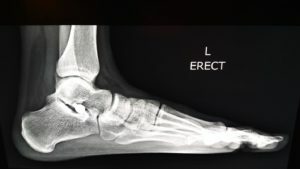 How do we treat flat feet? Treatment of flat feet is broadly divided into non-surgical treatment and surgical treatment. 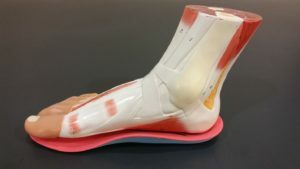 Non-surgical treatment will entail using an orthotic insole to support the foot. Physiotherapy is also helpful to stretch the Achilles tendon and to strengthen the tendons around the foot to support the medial or inner arch. Surgical treatment is reserved for those who have persistent pain and problems despite using orthotic insoles and physiotherapy. As flat feet present in a variety of ways and severity, surgical treatments are carefully tailored towards correcting the specific deformity. In mild cases, an insertion of a sinus tarsi stent is sufficient to re-create the medial arch of the foot. It works like a peg in the foot to prevent the medial arch from collapsing and hence correcting the flat foot. 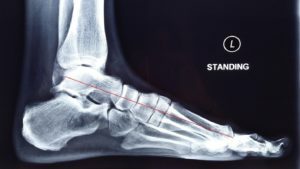 In cases where the flat feet is associated with hindfoot malalignment, a procedure called a re-alignment osteotomy is added to correct the heel alignment. 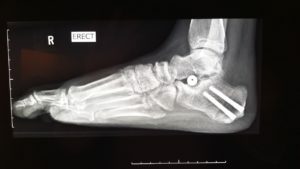 For the flat feet with severe deformity, the surgical treatment option is a triple fusion of the foot to re-create the anatomy of the foot back to normal shape and alignment. In general, surgical treatment for flat feet requires additional soft tissue procedures to improve the final outcome. Achilles tendon lengthening, posterior tibial tendon and talonavicular ligament repair are some additional procedures that are routinely done. In summary, flat feet is a common finding that requires no treatment. There is a small minority that requires evaluation and treatment because of pain with walking and running. In such cases, the treatment can be straightforward with the use of orthotic insoles or physiotherapy. 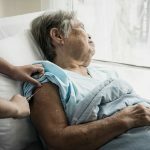 Surgical treatment is reserved for those who do not respond to non-surgical treatment and are disabled by the pain. 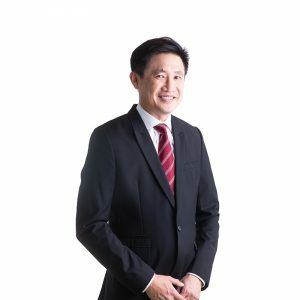 Dr Ooi Lai Hock is the medical director of Island Orthopaedic, a member of Healthway Medical Group. He is experienced in treating foot, ankle and knee conditions.